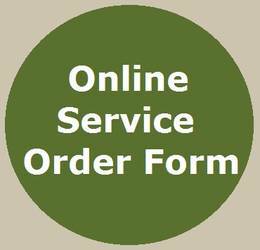 Order Form - Please click here to obtain a hard copy of Gwinnett Center's Service Order Form or order online. Electrical - The typical power order for a show is a 20Amp 120V Circuit. A single 20Amp circuit is enough to power up to 2400 Watts of equipment. The standard drop in the Exhibit Hall comes with a quad box that has four standard outlets. If you are bringing specialty equipment with you, whether it be an oven, deep frier, or a hot-tub, Gwinnett Center's electricians can assist you in powering your equipment. Specialty power is available throughout the Exhibit Hall. If you require special power outside the Exhibit Hall, please contact the show promoter or Gwinnett Center Technical Services at 770-813-7574. Telecommunications - Gwinnett Center can offer direct dial analog phone lines (please dial a "9" for an outside line), ISDN Service (primarily used for live radio broadcasts), and wired Internet Access (perfect for showing off your website or on-line registration). Gwinnett Center also has a Wireless Internet System available in all public areas of the Center. Wireless Service can be purchased on-site with a credit card. Wireless rates are $7.95 per day or $31.95 per week. Please contact the show promoter or Gwinnett Center Technical Services at 770-813-7574. Audio/Visual - Tired of lugging around bulky monitors, TVs, or screens from show to show? Contact Brad Brod with PSAV at 770-813-7592 to find out more information on any audio/visual equipment needs!